In Post-War London, The Ministry of Biscuits casts its sinister shadow over every tea-time and elevenses in the land. Established to “control biscuits, and to control the idea of biscuits,” it prohibits decadent sweetmeats, such as the Gypsy Cream. But when Cedric Hobson, a junior designer, falls in love and designs a biscuit to “shake confectionery to its very foundations,” his world – and the ministry – are turned upside down. 40′s British Light Music, Orwell’s 1984 and Ealing Comedy inspired this satirical, musical fantasy, a unique collaboration between the hugely popular novelist Philip Reeve (winner of the Carnegie Medal, the Guardian Children's Fiction Prize and the Los Angeles Times Book Award, whose best-selling novel Mortal Engines is now a major motion picture by The Lord of The Rings director Peter Jackson) and the multi-award-winning playwright and composer Brian Mitchell (Those Magnificent Men and Big Daddy Vs. Giant Haystacks). First performed twenty years ago to great acclaim, it comes to London following a sell-out 35-date national tour. 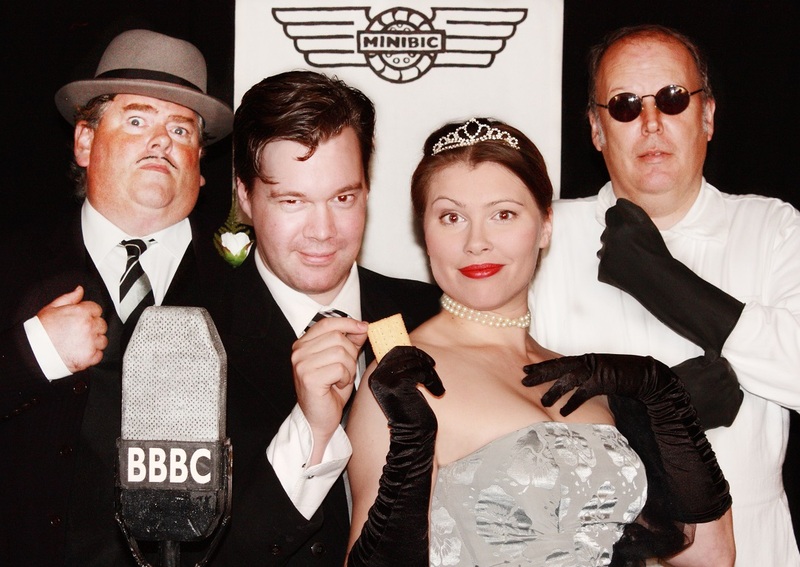 With performers including Radio 4 regular David Mounfield ('Geoffrey' in Count Arthur Strong's Radio Show) The Ministry of Biscuits promises clever, original, hilarious, and infectiously tuneful entertainment for audiences of all ages. BOX OFFICE: Phone 020 8932 4747 in advance and pay in cash on the door. EMAIL BOOKINGS: Send details of performance and number of tickets required to londontheatre@gmail.com. Then pay for them in cash when you come to the performance.